I am working with event tickets plus and I have a few questions. 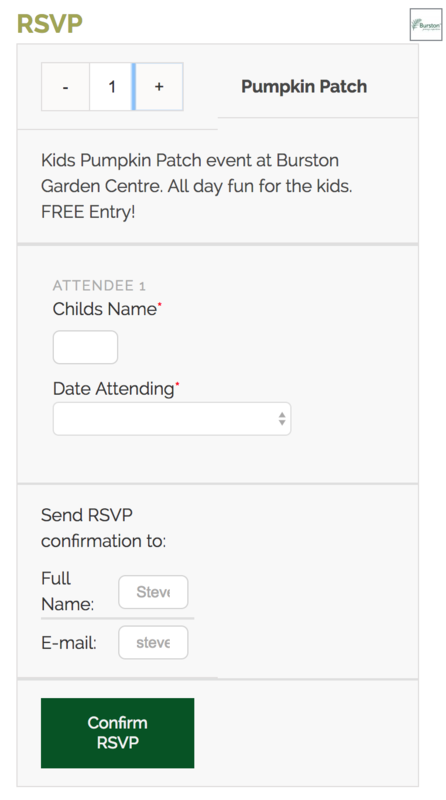 1) The form fields on the attendee info are really small in responsive mobile view on my site (see screenshot). The RSVP fields are also the same. Is there any way I can set these fields to full width within their container on mobile views? 3) Is there any way to only show an attendee information option for the 1st attendee. In the event a user selects 2 or more tickets, I only require one type of attendee information to be collected once. Please let me know if this doesn’t make sense and I’ll try to explain further. This essentially looks like a custom development task and so is outside of our stated scope of support. With that being said, we’d love to help point you in the right direction. We do need to prioritize support requests from other customers at this time but I’ll certainly flag this with the team and – although we can’t make any promises – if we have time and space to come back and help, we’ll be happy to do so. Please let us know if you’d like to go this route so that you can be added to this queue. In the meantime, if there is any more information you can share (including mock-ups) that will help us to better understand what you are seeking please do feel free to add them to this ticket.